* The “Book of Formation” reveals that the month of Iyar controlled by the letter Vav ו and Taurus constellation. * The permutation of the YHVH name related to Iyar is יההו, where we see the letters of Malchut and Binah attached together without the process of the Vav (Zeir Anpin). * The gift of the well of Miriam in the wilderness was given in the month of Iyar. * The Manna came down from heaven for the first time in the month of Iyar. * The building of the first Holy Temple began in the month of Iyar. * On the 18th of the month we celebrate Lag B’Omer, the day Rabbi Shimon left the world, adding greater light to this month and Lag B’Omer is considered as mini Shavuot because of that revelation. * Lag B’Omer is also the birthday of the Daily Zohar and we will celebrate eight years of daily zohar studies, thank God for this. 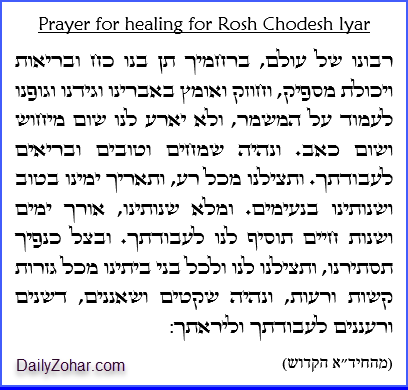 As we learn from the short notes above, Iyar is a month full of energy of healing. To be able to benefit from this light of healing and the light of Rabbi Shimon, we need to have or prepare our vessels with study of Zohar and avoid all negative aspects that may bring impurities into our vessels. We can make strong resolutions to eat strictly Kosher and healthy. Non Kosher food affects our soul and vessels negatively. Highly processed food and other junk food load the body with a lot of negative elements and ‘exhaust’ the body in unnecessary fight to maintain health. Eat less to leave more room for spiritual light. Bless the food to connect to what is good in the energy of the food. These few simple advices would help us live longer and healthier. Read/scan the following blessing for the month of Iyar. 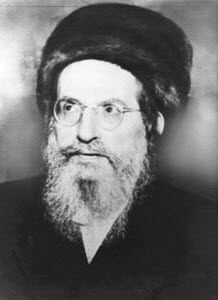 Kabbalists also give special healing attributes to the rain water in this month. If you see rain coming down, go out and let your hair get wet a little. Open your mouth to let the rain drops come directly in and swallow the rain, mediating to absorb the healing energy of the month through the pure water that came down from heavens, connecting to nothing until reaching your mouth. You may collect rain water in a pure unused vessel (disposable) to deliver to a sick in bed (if the doctor permits). It is better to have direct water than using a vessel that may ‘ground’ the energy that comes from above.